Product overview, highlights and list of functionality/capabilities. Overview of Professional Services offerings and details about methodologies. All about our Cloud QMS software delivery option. Learn all about the AssurX solution for Audit Management. Learn all about the AssurX solution for Change Control. Discover the AssurX solution for Document Management. Learn how AssurX manages Supplier Quality across global enterprises. Making EQMS changes & validation easier for regulated businesses. Learn about the AssurX Training Management solution. Manage postmarket adverse events and OOS while improving compliance, product safety, product innovation and customer satisfaction. Understand how to improve quality and compliance across operations. Overview of the AssurX automated electronic medical device reporting solution. Overview of the AssurX medical device industry solution. The easiest way to keep your system current with all new and revised NERC standards, PDFs & RSAWs. Explore the options for AssurX Cloud QMS. 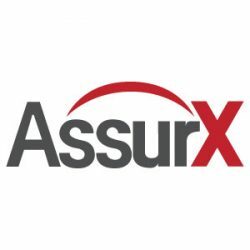 Learn all about the AssurX’s Cloud privacy, reliability and security.